Winsor & Newton Professional Water Colour Paints (formerly Winsor & Newton Artists' Water Colour Paints) are known for their brilliance, permanence and strength of colour. The natural characterisitcs of the pigments results in unrivalled transparency and clean mixing. 93 out of 96 colours in the Winsor & Newton Professional Water Colour Paint range are rated permanent for artists' use (AA or A) to ensure the colours used will appear for generations. 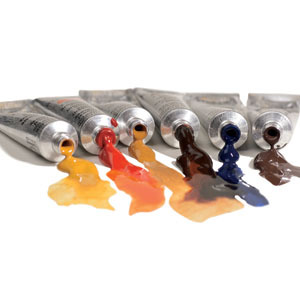 Winsor & Newton Professional Water Colour Paints benefit from continued advancements in pigment technology and production methods, producing brighter and more transparent colours.